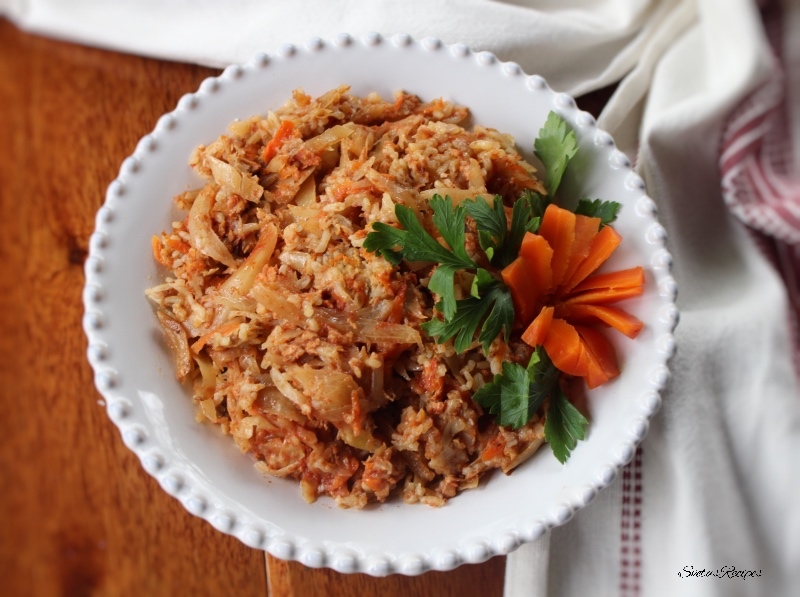 It tastes the same as stuffed cabbage though it is much easier and quicker to make in a hurry. It is a yummy meal for every day of the week. 1.) 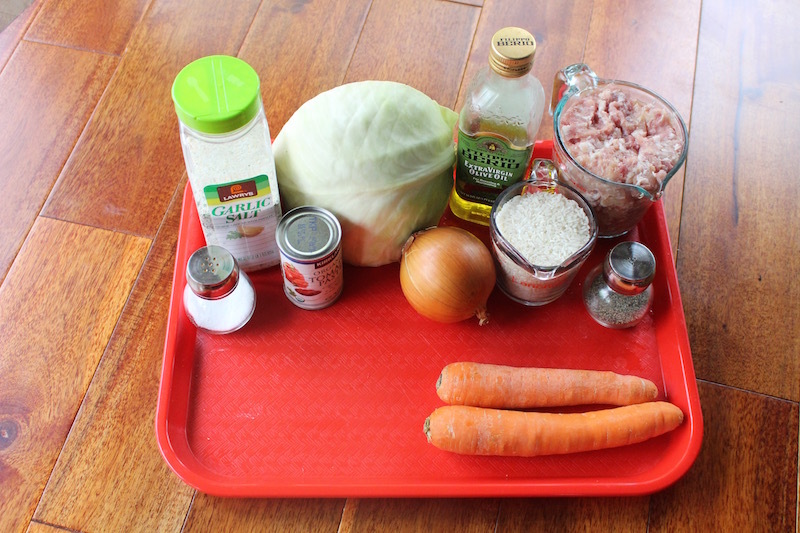 Shred your cabbage, onions, carrots, grounded pork and place them all into a baking pan. Also add seasoning and rice and mix well. Add your tomato sauce to your water and mix well. 2.) Now pour tomato sauce mixture and olive oil into your baking pan and mix well. Bake for 30 minutes on 400 F. After 30 minutes switch it to 350 F and cook for 1 more hour. Place on a serving dish and enjoy. 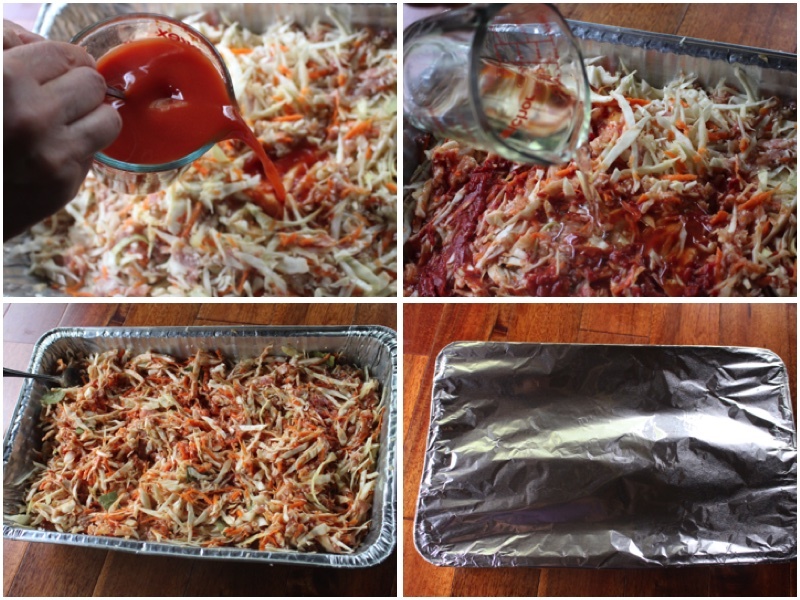 Shred your cabbage, onions, carrots, grounded pork and place them all into a baking pan. Also add seasoning and rice. Add your tomato sauce to your water and mix well. 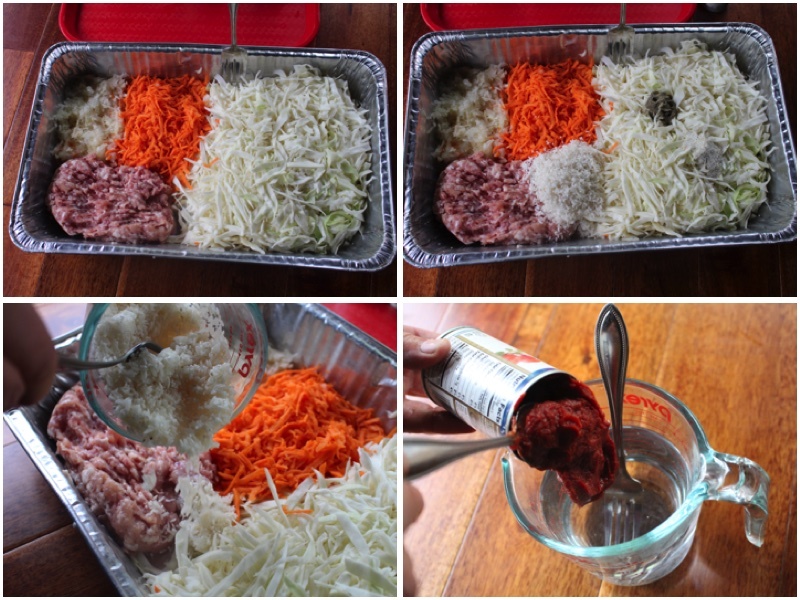 Now pour tomato sauce mixture and olive oil into your baking pan and mix well. Bake for 30 minutes on 400 F. After 30 minutes switch it to 350 F and cook for 1 more hour. Place on a serving dish and enjoy.